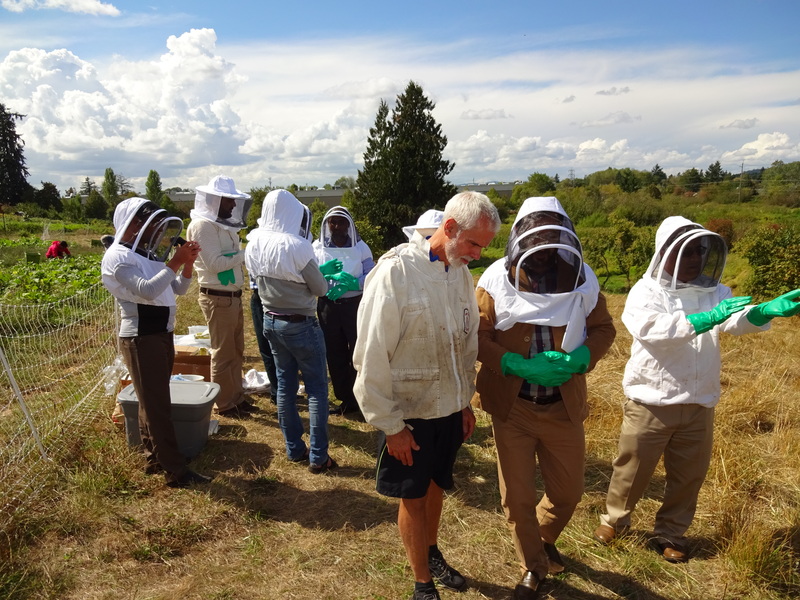 In August 2015, Portland Urban Beekeepers, PUB, received an unexpected invite. 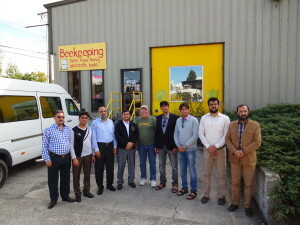 The World Affairs Council of Oregon asked us to host a delegation of visiting veterinarians and agrarians from Afghanistan. 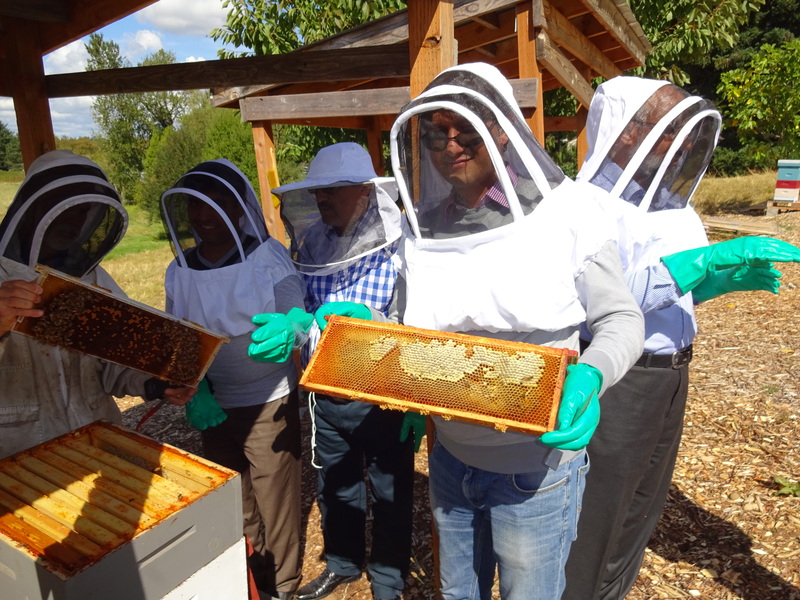 With enthusiasm, PUB’s Board immediately formed a four person group to welcome the delegation and introduce them to Beekeeping. The group was comprised of Tim Wessels who is PUB’s past president, Bill Catherall who is the current president, Linda Zahl who is PUB’s board member for education and Dewey Caron who is a Professor Emeritus University of Delaware and a PUB honorary member due to his long-time service to the club. After a short email conversation we wholeheartedly agreed to host the Afghan delegation. We sobered up quickly when we realized that we didn’t know how to plan for this cross-cultural beekeeping visit. What would a delegation from Afghanistan be interested in? Do they know English? How much experience, if any, do they have with bees? Would they have allergies or suffer from “Honey Bee Anxiety” syndrome. In fact, we pondered if they would be interested in our Backyarder experiences at all. The World Affairs Council of Oregon was not able to answer any of the above. Luckily, one issue was easily solved. We all agreed that the allotted two hours would not be enough. Fortunately, the Council gave us a whole afternoon. With a committee, a time frame, a vague idea of who the audience would be, and enthusiasm, we began to plan. Uniquely, PUB has it’s own dozen-colony apiary at Zenger Farm, an urban organization dedicated to the education of sustainable food systems. The club apiary, maintained by PUB board member Lauren Smith, is an excellent public face for our club. We concluded that we should take our visitors to the Zenger apiary. Then, since PUB’s apiary is a non-chemical apiary, we decided to round out the event with a visit to Ruhl Bee Supply, a division of Brushy Mountain Bee Supply, in order to include beekeeping chemicals and view other beekeeping supplies. Ruhl graciously allowed us to borrow bee suits and gloves for our visitors. As far as the informational content, we decided to go by the seat of our pants. 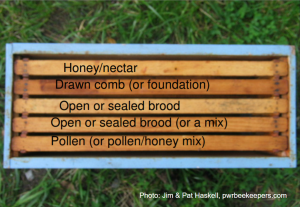 Open a hive, show how to make a hive inspection, and explain what is going on in the hive. After the opening lesson led by Dewey, with Bill acting as Vanna White showing everyone what Dewey was talking about, we agreed to invite the scientists to gather around any one of us they wanted. That way we could answer questions in small groups while doing hive inspections. Finally, the day arrived. Nothing is better than warm sunshine on a sweet smelling vegetable farm to show off one’s apiary to perfection. Linda arrived first to make sure the apiary was ready and equipment was handy. Then, Dewey showed up and stood along Foster Avenue to help direct the delegation’s transport into the farm. Next, Portland being the bicycle city, Tim biked up in shorts with his helmet in hand. Bill arrived as did our visitors – we were ready. Our first surprise was the youthfulness of the nine person delegation. Most were in their 20s and early 30s. Linda surprised all by greeting them in, as she describes, her pre-school Persian. Immediately, the ice was broken as they all smiled and then began to laugh. Persian is a sister language to the national language of Afghanistan, Dari. Once Linda’s Persian vocabulary was depleted, we learned that the majority of them spoke English passably well. In fact, it is always humbling to meet people from other countries who speak English while knowing that we Americans are overall so “language handicapped.” Their translators were hardly needed at all. Four PUB members, nine Afghani professionals, and two translators began beekeeping. After Dewey and Bill’s opening presentation, the fun began as each of us started opening hives in small groups. When Tim, in his biking shorts and T-shirt, found a Queen, everyone wanted to see her. Those with no beekeeping experience wanted to see the Queen because it was their first time seeing a queen, and those who had experience wanted to see her in order to see what race of bee she was. 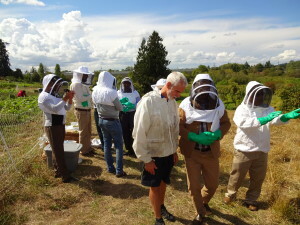 Throughout the afternoon, Tim amazed them by his calm demeanor while working with the honey bees in only biking clothes. The issue of swarming came up. How do we prevent it? The issue of feeding came up. What equipment do we feed with? The issue of Varroa mites came up. How do we treat them? Chemicals are expensive for the subsistence farmer so what non-chemical treatments are proven effective? The powdered sugar method was of interest since powdered sugar is inexpensive and readily available. Later, when Bill opened the Top Bar Hive, all wanted to talk to him and see the differences. Unexpectedly, the issue of smoker fuel came up. They wanted to know what material is best? Of course, we said all the things we use like pine cones and burlap. Soon we realized that we don’t know what is available in their environment. We were stumped. Finally, the one delegation member who had extensive experience in Apis mellifera beekeeping said that he and his father used dried dung which burns with a lot of smoke and at a low temperature: perfect qualities for a beekeeper’s smoker. 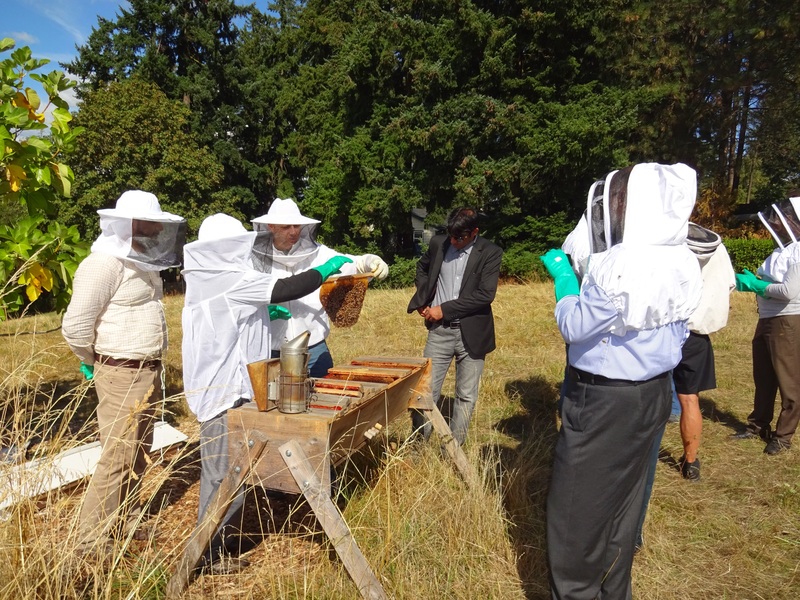 Further, the young professionals wanted to feel the weight of a healthy hive, to hold a frame correctly, to see brood and uncapped brood, and to identify honey and pollen stores, etc. 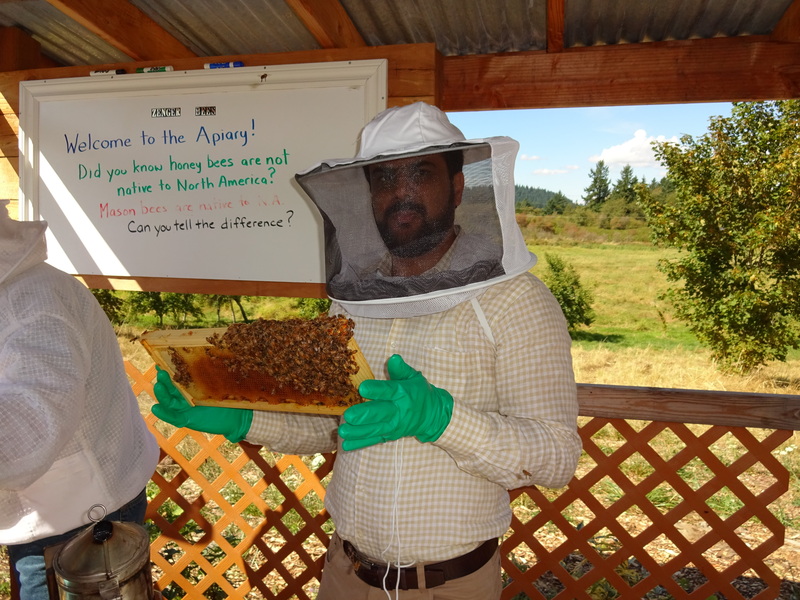 Dewey was a great resource as he walked around the apiary answering questions. With keen interest, we learned about their Apis cerana beekeeping practices. Apis cerana is a good pollinator, is very Varroa resistant and AFB is not a serious disease (which is big problem there). However, Apis cerana does not supply much honey. As we talked we realized that the information was not just going one way- from us to them. But rather it was a two way exchange. We became equals sharing as friends do. The time came to leave PUB’s apiary and we drove over to Ruhl Bee Supply, a subsidiary of Brushy Mountain Bee Supply. They were very helpful. Not only had they loaned us gloves and bee suits, but they allowed us to use the entire store as a classroom. Dewey and Bill took charge and explained the use of various beekeeping equipment. Also, Dewey covered the use of fungicides, antibiotics, and Varroa miticides. After the program ended, conversation continued. As we said our good-byes, we felt good. Really good. The good feeling that comes from a warm, sunny afternoon with friends out on an urban farm smelling the ripe vegetables and fruits while doing what we like most—opening honey bee hives and listening to the sweet ladies buzz. Portland is weird. We like it that way! That weirdness can show up in our beekeeping too. We have weird hives and a weird way of doing things. 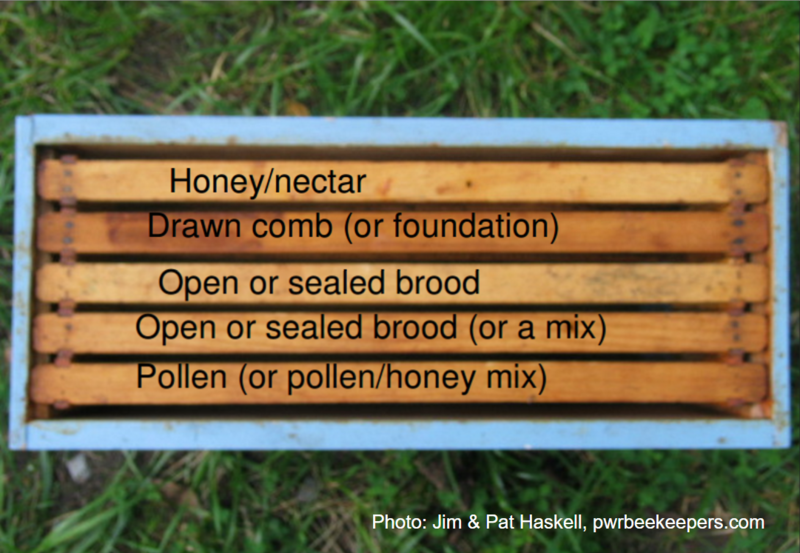 For example: I use Langstroth hives, but I run all mediums (or westerns, as many people call them here). I don’t use foundation and I don’t treat my bees with acaricides. And I’m not the weirdest. Many of our members use top bar hives or Warré hives. Every year there are more and more beekeepers being added to our ranks in this backyard hobby and we love that. 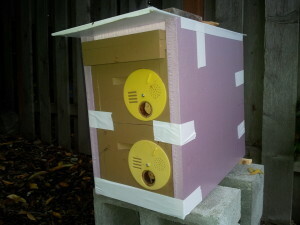 They often choose from the many options of alternative (“weird”) hives. Unfortunately, there are very few options for these beekeepers to source bees. They have to buy packages that just don’t show any qualities of surviving in our area and are inherently problematic. Or they try to catch swarms, which is getting increasingly competitive each year. It’s also not a sure bet of getting good bees, or even any bees at all as they find it difficult to keep up with the more experienced beekeepers. 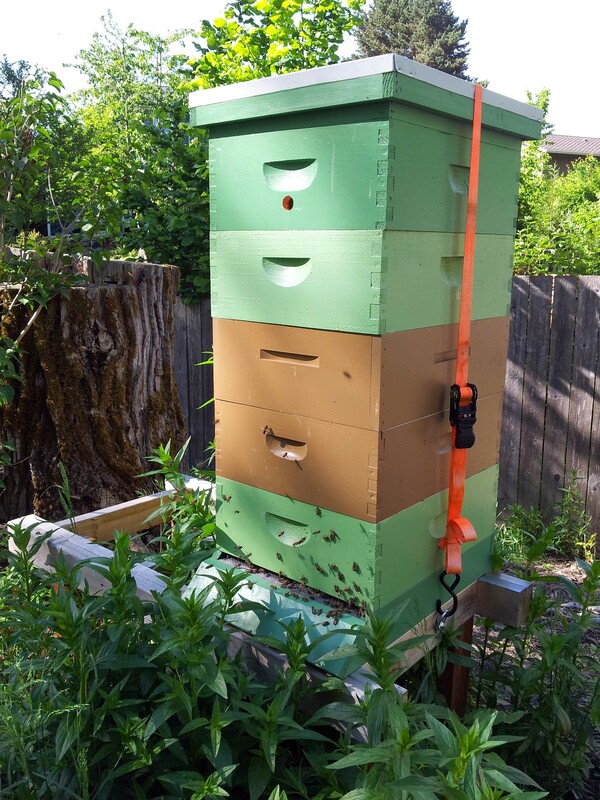 What we need in Portland is a source of locally raised bees that can accommodate all our weird variety of preferences: top bar, Warré, western Langstroth, small cell, treatment-free, foundationless, or whatever the personal flavor may be. The problem is, it’s difficult and costly for a large operation to begin and do well. Not only due to the “weird” market of buyers, but our later queen rearing season followed by a short-lived nectar flow can add to the challenge too. Since we have such a large club with a relatively high beekeeper density, we have the opportunity to do something really weird: we can be our own bee breeders. Rather than rely on large commercial breeding outfits that either can’t fully meet our large demand or deliver us bees that just don’t do well in our environment, we can work together like bees in a hive and provide for each other. But we’ll have to do it differently. It can be done on a small scale too. The key to all of this is creating resource hives and overwintering nucs. For the benefit of the beginner beekeeper, a nuc (pronounced “nuke”) is short for “nucleus hive” and just means a small but fully functional working colony in a small hive configuration. Typically sold to beekeepers in deep 4 or 5 frame Langstroth boxes. They can be made up by the beekeeper themselves instead of buying them, and can be built into whatever hive configuration you prefer. 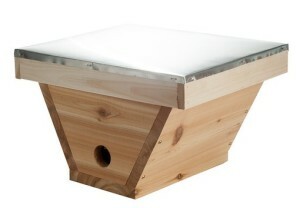 For example, if you’re a top bar beekeeper you can make a top bar nuc. Pretty simple really. There are many ways to make up nucs by splitting hives. I recommend reading up on the various methods at Michael Bush’s website. The method and timing you use really depends on what your goals are. 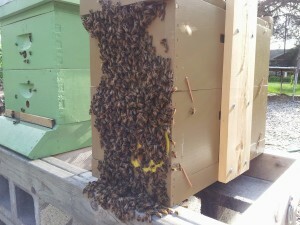 There are significant advantages to making nucs during the flow. It’s easier. The bees are less defensive and not easily upset by all the manipulation that will be going on. The weather is nice and there is plenty of food available, so they’ll grow faster and are easier to take care of. Of course, they also may grow very fast and outgrow their little space. So it’s a good idea to also use them as a resource for other hives. (Hence the name “resource hives.”) They can provide additional or backup building materials for other hives that are weak or that you just want to give a boost. They can provide a spare queen in an emergency. Additional brood. More honey or bee bread (pollen). Or even provide fresh clean comb for a hive that has old comb you’re rotating out. Taking from the nuc’s resources and giving to the larger honey producers can keep the nucs small and manageable and give the larger hives extra help. But of course, whenever taking resources from any hive, always do so responsibly so as not to completely disable the colony. So what does this all mean for a Portland beekeeper? How is this going to help us? We experience significant losses in our apiaries every year. On average, about 50%. Most of us are always playing catch-up and trying to make up for our losses by either buying more packages, sometimes nucs if our equipment matches, or by chasing down swarms. These replacement bees then spend the first year building up and we’re not going to get a honey harvest from them. That’s fine. Let them do their thing and we’ll get honey in their 2nd year. But, then we still lose half of them again their first winter and we’re back again to making up the losses. And round and round we go. Instead of always chasing our tail and trying to right the wrongs, we can just plan for the losses. If I want to have 3 or 4 hives in my apiary in the spring, then I’ll go into winter with 6 or 8 hives. That way, when I lose half of them, I won’t be on that merry-go-round. I’ll be right where I want to be. Providing space for 6 or 8 hives might be problematic though. And it could double our work-load. But that’s the beauty of nucs. Their compact size means they take up less room, are easier to manage, and don’t look intimidating to the neighbors. So instead of making up nucs in the spring to try to fix our losses, raise queens in a few small queen rearing nucs in the summer when it’s easy. When the nectar flow is over, split some hives to make up some smaller nucs and use the queens you raised earlier. Be sure they have enough food stores to make it through the fall and winter. There may even be some leftover honey for you to harvest. Then, if they survive the winter, they’ll have proven that they are “survivors” and can help improve the local bee population. Beekeeper A had 2 hives in the summer, and lost 1 hive in winter. In an effort to make up for his losses he split it into 3 parts in late April. The hives re-queened themselves successfully and built up well, but due to the setback caused by splitting, none of the hives built up enough to provide a honey harvest. Beekeeper B had 2 hives in the summer. She took a comb of eggs and some nectar/bee bread from each one in June and used 2 small nucs to let the bees make queen cells. After the queen cells were formed she divided them up into 4 small queen rearing nucs to let the new queens emerge, mate, and begin laying eggs. She successfully raised 4 new queens which she used in August to split up her 2 other hives and their resources to create 6 nucs to overwinter. She lost 3 of them in winter, but the surviving hives built up quickly in the spring and had a strong workforce ready to take full advantage of the nectar flow. While these 2 examples are idealized hypothetical situations, they illustrate how we can use the natural cycles and seasonal growth of the bees to our advantage and plan ahead. The nucs that overwinter grow extremely fast. The photos on the left show how one of my nucs grew from an overflowing 5-over-5-frame nuc to fill five 10-frame boxes in just 3 months. Swarms and packages cannot do that. Even nucs built in April can’t do that. They have too late of a start. Overwintered hives are building and gearing up for this in February. They have a 2 month advantage. Maybe Beekeeper B above doesn’t want 3 hives. She can sell the 3rd one and provide a high quality, locally raised source of bees for another beekeeper in her club. And maybe she has some kind of weird hive configuration that her friend also has. I encourage the beekeepers in our club to take up this challenge and plan ahead for losses. 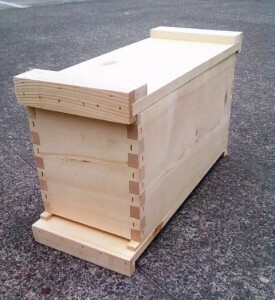 Build or purchase some nuc configuration that fits your beekeeping style and start small. See if you can raise a queen or two. Make up a couple splits in the late summer and see if you can get them to overwinter. It’s a learning and experimental phase, so don’t be too concerned about doing it wrong or making mistakes. That’s how we learn. We can then take the data from these experiments and improve year over year. Let’s work together on this and see if we can figure out the right formula for getting nucs through the winter so we can stop chasing our tails. PUB’s November 4th meeting was held at a different venue, Tabor Space, where we had our annual PUB Showcase event. This is an opportunity for members and guests to show off and even sell their products, equipment, share recipes, collaborate on ideas, and socialize. Beekeeping opens up a whole world of industry and innovation and we like to help support that and get the word out. We had a very good turnout for this event and quite easily filled the Copeland Commons room at Tabor Space. Next year we’re going to have to find a bigger room! Our December meeting was also held in the same room at Tabor Space, but due to bad weather and an unusual change in date, the attendance wasn’t quite as high. But we had a really fun time at our annual Honey Tasting event. Every year we get together to sample the members’ honeys and nosh on snacks. Attendees get to vote on their favorites and prizes were awarded. This year we added to the event by including a Photo & Art contest where members could show their bee-themed art. We also helped a local soup kitchen, Free Hot Soup, collect some honey donations to be used in their recipes or to be served with tea to help the homeless in Portland. In February we’ll be holding our Bee School, aimed at helping brand new beekeepers get started. Saturday, February 6th, 10am – 4pm at the Urban Farm Store. Students can register on our website. Please help spread the word to those you mentor! At PUB’s October 7th, we ate cake to thank Dewey Caron for all of his contributions this year, he will be overwintering in Bolivia. Glen Andresen gave his monthly pollen & nectar report, which he had to adjust this year to accommodate the long bloom season. Dewey warns that with a long bloom season comes late brood rearing, leading to an increase in varroa mites. We had the return of the PUB Spotlight, where we invite members to share their beekeeping experience. We heard from Carolyn, a first year beekeeper who’s learning quickly and now spends her free time watching the bees come and go. Additionally, Luca, a fifteen year old beekeeper, joined us along with his family. At age nine, Luca was living in France and followed a curiosity in beekeeping to a town in southern France, Cevennes. There, he was introduced to traditional beekeeping, using hollowed-out chestnut trees. Luca developed a passion for beekeeping and now has four thriving hives, one which he’s given to his younger brother. Our November 4th meeting will come with a location change to Tabor Space where we’ll be hosting a Show & Tell. Members and guests are encouraged to show off their products and share recipes. We will invite local companies to share what they are doing, and people can bring items to sell. In December, we will change both location and meeting date. We will be meeting on Tuesday, December 1st at Tabor Space for PUB’s Photo and Art contest. We’ll be having a potluck and honey tasting to compliment the art. There will be prizes, so get your art ready! PUB’s September 2nd meeting was focused on practical advice from Dewey Caron on how to use this fall season to prepare our hives to overwinter. Additionally, Bill Catherall showed off the delightful video he composed for the OSBA State Fair booth, which put a spotlight on various beekeepers in the area. PUB would like to thank our friends at Bee Allies. Bee Allies provided us with a swarm hotline. The hotline was a success, with about 100 PUB members responding to over 300 calls. At our November meeting, we’ll be hosting a Show & Tell where members and guests are encouraged to show off their products and share recipes. We will invite local companies to share what they are doing, and people can bring items to sell. Get your bee-related art projects ready to show at PUB’s December Photo and Art contest, complete with prizes. We’ll be having a potluck and honey tasting to compliment the art. While Glen Andresen was busy flipping pancakes at the family booth of Junction City’s Scandavian Festival, Dr. Dewey Caron took over our August 5th meeting with practical advice for how to start the beekeepers new year off and transition into fall. His presentation was full of a vibrant Q&A from our members, mostly around feeding and requeening practices. As we help our bees prepare to overwinter, Dewey reminded us of last year’s Pacific Northwest honey bee loss survey results (pnwhoneybeesurvey.com), debunking some practices as statistically insignificant, and some as trends. Very few practices showed significant success in preventing overwinter losses, such as chemically treating for varroa mites. Dewey, as always, encourages us all to try new overwintering techniques and share our results in the 2016 survey! PUB’s apiary at Zenger Farm has seen some exciting growth this year! We started the year with two hives, and to that have added eight nucleus hives, resulting in twelve hives going into fall. The property has been cleaned up, with fresh woodchips and improved shelters and equipment. Zenger Farm is dedicated to education and experimentation. 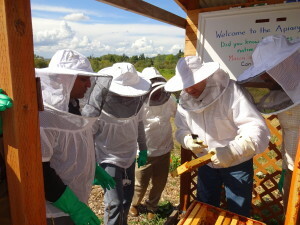 See our calendar to find out when the next volunteer work party is, they are an amazing way to get beekeeping experience! At our November 4th meeting we’ll be hosting a Show & Tell where members and guests are encouraged to show off their products and share recipes. We will invite local companies to share what they are doing, and people can bring items to sell. Get your bee-related art projects ready to show at PUB’s December 1st Photo and Art contest, complete with prizes. We’ll be having a potluck and honey tasting to compliment the art. Our July 1st meeting came chalk-full of practical beekeeping advice from our local experts, as well as some thought-provoking conversations about hive treatment methods and philosophies. Tour De Hives, PUB’s biggest annual event, was a huge success this year! Thanks to all of the volunteers and hosts who helped make it possible. With this year’s success, we hope to expand next year to be even bigger and better! As such, we are currently looking for volunteers for next year’s planning committee. Our website has a new Classifieds section. Become a PUB member to take advantage of our local trading post for beekeeping equipment, goods, and services. Following Glen Andresen’s always popular “What’s In Bloom This Month” Dewey Caron gave his monthly “Do You Have A Plan” presentation. 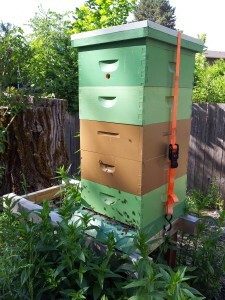 While we were challenging the bees by oversupering last month, this month he encourages us to undersuper with the goal of getting the bees to finish up partially filled honey frames. Dewey also encourages us to continue tracking our mite counts to give context as we move into fall. PUB supports beekeepers of all methodologies, and this month Bill Catherall gave a presentation on Treatment-Free Beekeeping. He outlined the spectrum of methods, ranging from natural to industrial. He then talked through a number of hive management techniques through the eyes of a treatment-free beekeeper, whose goal is to work with natural selection with the goal of allowing genetically strong bees to prosper while genetically weaker hives die out. Ultimately, he opened up the floor for discussion around a hybrid varroa mite treatment approach proposed by Dr. Dennis vanEngelsdorp, with the Bee Informed Partnership. To read more, check out Bill’s blog post on our website.